Jacket painting: In Defence of Britain by Frank Wootton, Founder President of the Guild of Aviation Artists from an original painting. In the balmy summer of 1940, the most critical battle of the Second World War was fought out over the fields and towns of southern England. An embattled but resilient people could look only to the young men whose task it was to repel the aerial invasion. 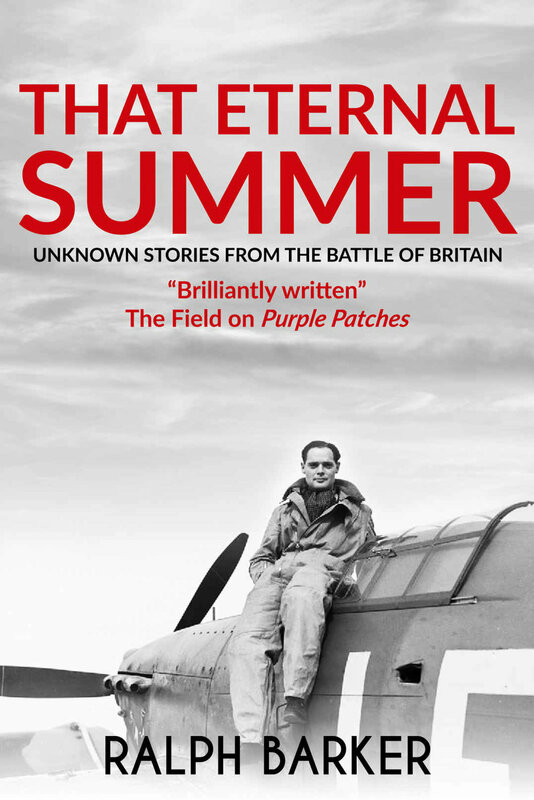 In this book Ralph Barker has unearthed twelve untold or little-known but unforgettable stories of men whose names may be unfamiliar but without whose selfless tenacity Britain would not have survived. Some chapters are individual and episodic, others present a microcosm of the Battle as a whole. The restoration of squadron morale after the debacle in France, the misunderstanding of the RAF's role at Dunkirk, the harnessing of the 'ace' mentality to the attritional contest - all these are recounted, together with the inside story, related here for the first time, of the award of Fighter Command's only VC; of the 'mad Irishman' who knocked down his adversary with his wing-tip in mid-air; of the fight to the death over Hyde Park Corner which stopped London's traffic; and of the poignant tragedy of the nineteen-year-olds who sold their lives dearly when thrown in at crisis point with scant preparation to plug ever-widening gaps. The bomber crews, too, are not forgotten, their losses being even greater than those of the fighter pilot, nor are those left behind to mourn, like 'Bunny' Lawrence, who loved two brothers and was equally loved in return, only to lose them both within twenty-four hours at the climax of the Battle. Linking these actions with the ebb and flow of the struggle, the author provides a sequence of narrative vignettes which first set the scene and then keep the reader abreast of events until victory is finally won. In this unusual and moving book, Ralph Barker has written a worthy and exhilarating tribute to the indomitable Few.